Martin the Entrepreneur - Reality Sports..
A day in the life of 60,000 people.... I recently spent a great evening at the World Athletics Championships in the Olympic legacy stadium, Queen Elizabeth Park, East Stratford, London. It was a day of anticipation on my part, and the "media circus" verses real life for the part of newspapers, radio and TV. 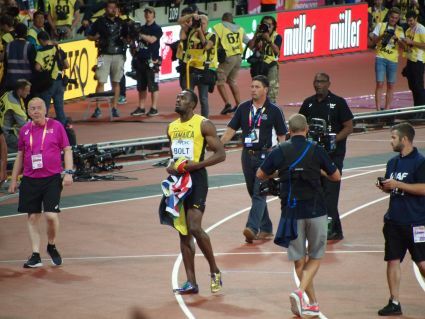 Sport at its best and worst, all was contrasted in a glorious way on Saturday night; Usain Bolt was the White Knight wanting to bow out of an athletic career on a high. The expected script would have it that he would leave an unblemished, collective memory of success but, this time, real life got in the way and all the more memorable it was because of it! It didn’t all go to plan…. 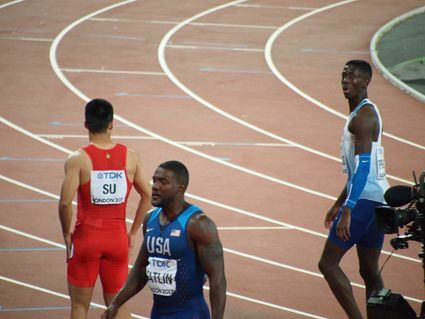 The Grandmaster Bolt and the evil villain Justin Gatlin. Bolt, conducting the mass of humanity in the stadium, failed at the final hurdle and the spectre of the villain of the piece taking the limelight made for a fascinating experience. 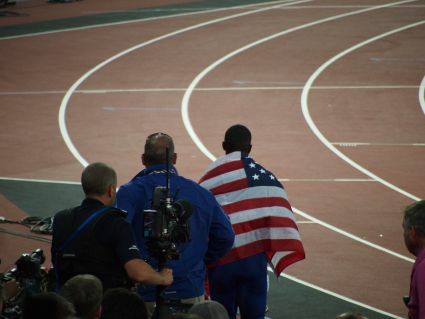 I, and many others value the experience of a “live” sporting event and the opportunity to take in the final days of Usain Bolt’s career was not to be missed. We, (my family), missed out on the Olympic lottery in London 5 years earlier, so now was the time. The amazing thing about being together with 60,000 fellow human beings can never be captured by watching the event on television or even listening to the radio. All media has it's place but within the stadium it came alive, with basic, raw emotions surfacing at every turn of events in all manner of unexpected ways. We cheered, we shouted; some of us booed, others felt uncomfortable. I felt torn, finding it exciting and sad at the same time. Sad because it wasn’t a very British thing to do; to boo the villain; when the real elephant in the room was the IAAF,( International Association of Athletics Federations) and secondly, excited to see a great contest between athletes who have ALL put in an extraordinary effort to realise their ambition and talent. (Even if drugs and illegal practices had brought this contest to a high point). Generally the media, including the BBC, had wittingly created a classic good v evil contest, Usain Bolt v Justin Gatlin; and I would love to know how many people in the stadium could genuinely say that they were there because, like me, they were a lifelong supporters of sport and athletics in its many guises, or they were enticed there for the drama and intrigue created by the "media circus" surrounding the event. I know this sounds very elitist and maybe even snobbish but having missed out on Olympic tickets I was determined to get to see at least one big sporting event in the Olympic stadium before a new era of athletics unfolds; as it surely will without Usain Bolt orchestrating , almost single handedly, past athletics events. Will Athletics survive this? Can the powers at the IAAF transcend the media fuelled spectacle and bring the unadulterated joy of engaging in physical sports to the masses again? 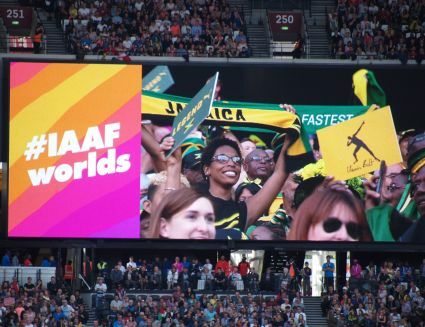 Your comments and thoughts…..AND...a couple of weeks on, how was the World Athletics Championships? A lot of questions posed, very few answers or solutions to a global problem resolved. Nothing went to script: Good News! AND maybe a final thought for this blog.....has all the attention and profile assigned to this event and others like the Olympics brought about greater participation in Sport?? Next time; I will try and answer some of these questions as well as responding to your thoughts, thanks for reading. We also have integrated what3words into the platform; want to find out more? Contact me below.